Rebisco is not just a brand of cookies and biscuits, it is a brand that has been a part of our lives when we were growing up and is now a part of our children's lives. In fact, this is one of the brands that is a like a family to us. The brand has also penetrated other markets outside the country- China, U.A.E., Saudi Arabia, Hong Kong, Taiwan, South Korea, and Myanmar, and has been steadily establishing itself in those countries. 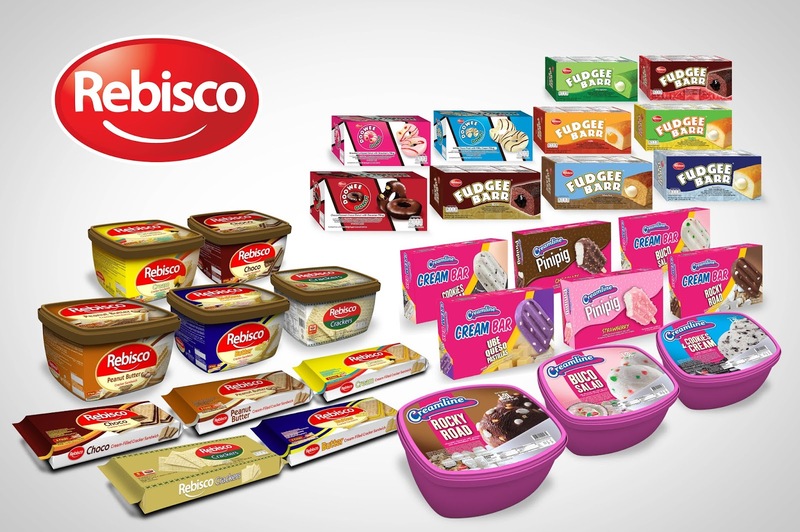 "Wherever there are Filipinos, we have a market for Rebisco products because our snacks represents a piece of home," Rebisco President Jonathan C. Ng said. "At the same time, the shared love for food is a universal language that transcends boundaries, languages and cultures. While we bring our diverse portfolio of products to a wider market, we also want to put the Philippines on the global map as a maker of world-class snacks." Top export favorites include Ding Dong, Hansel, Fudgee Barr, Rebisco Sandwich, Dowee Donut, Cupp Keyk and Choco Mucho. "For countries such as U.A.E., Saudi Arabia, Canada, USA, and Taiwan, the main consumers are our overseas Filipinos as these countries are top OFW and Filipino migrant destinations," said Jonnel Mangubat, Head of Rebisco International Business Group. "As for China, Hong Kong, South Korea, and Myanmar, we primarily cater to the mainstream aka local consumers. Thus, our products could be found in their supermarkets and wholesalers where local consumers go to." "We localize our portfolio and promotions based on the unique consumer needs per country," Mangubat added. "While some distributors directly approach us due to our company's popularity, we mainly enter new markets through participation in international trade missions and food exhibits. As soon as we see market potential and product acceptance, as indicated primarily by consistent orders, we follow through with significant investment in sales and marketing initiatives in order to maximize the business potential." Another key factor for the success of Rebisco's international market is the opening of its manufacturing facility in Vietnam in 2015. This is a strategic location and has been continuously producing cakes, biscuits, wafer and cream paste for domestic and top export markets like China and Myanmar, and has now expanded its shipment to Hong Kong and Singapore. Top-selling brands are Doowee, Krim Stix and Rebisco Extreme. And as the company marks its 55th year milestone, it sees a bright future both here and for its international expansion.